Barely 6 months after the last World of Warcraft ban wave, which took place in May, 2016, Blizzard has taken yet again action against the usage of third party tools, by issuing suspensions and permanent bans to players that were found using them. Granted, most of the players who got suspended received 6 months of suspension, as it’s customary for Blizzard lately, but there were cases of punishments as high as 18 months or even permanent bans, for “severe” and “repeat offenders”. Even though there are reports of players banned for usage of other third party software, such as FireHack and WRobot, the most hit target seems to be HonorBuddy once again, which makes sense, since they have the largest customer base. An interesting thing to add would be that there have been reports of suspensions related to IP, such as where two people are living in the same house, sharing the same IP but have different computers and WoW accounts, where one of them used a bot on their own account, and both got suspended for it, regardless of no account sharing and such. Now, it isn’t factual per se, if this truly happened, but our suggestion is, if you live with someone who is using bots in relation to WoW and share the same IP address, your best bet would be to use a VPN, as inconvenient at times as that might be. Get your best shot at getting unbanned! All is not lost! We're here to assist you and try our best to get your account back! While it might be devastating for some people who got caught using bots on their main accounts, it can’t be denied that such actions aren’t warranted. Blizzard is acting more often and more harshly against cheaters, and it’s safe to say that such offenses have little to no place in future expansions. There were lots of logs and evidence gathered as part of this current ban wave, and suspension arrived even at the luckiest players who managed to dodge such bullets in the past, so once again, if you’ve been lucky enough to avoid this ban wave, you should really stay put as of now, especially given that most of these actions also come with an in-game currency strip, meaning you’ll lose all of your gold and honor points. More so, there are reports of players who haven’t used bots since Legion came out, so while account flagging and logs cannot be prevented, you should really try to remove any trace of said software from your computer. If you wish to check the players’ ban reports, you can do so by visiting the Honorbuddy forums. Update: Official statement from the Honorbuddy staff that their bot has been detected for the past 2-3 weeks, which allowed Blizzard’s Warden anti-cheat system to bypass Honorbuddy’s Tripwire defense mechanism. Update 2: There are reports of players getting banned for using software like EWT and Yeti as well, so for the time being, nothing seems to be safe. Remember that Blizzard takes such offenses very seriously, and lately ban waves were just a matter of time. You should really think twice if you’re willing to risk your (main) account, because sooner or later, it will get banned. If you’re among the ones who got banned, we’ve got your back! Let us know through our contact form or Facebook page and we’ll get back to you, or you can go ahead and give a try to our WoW unban service! 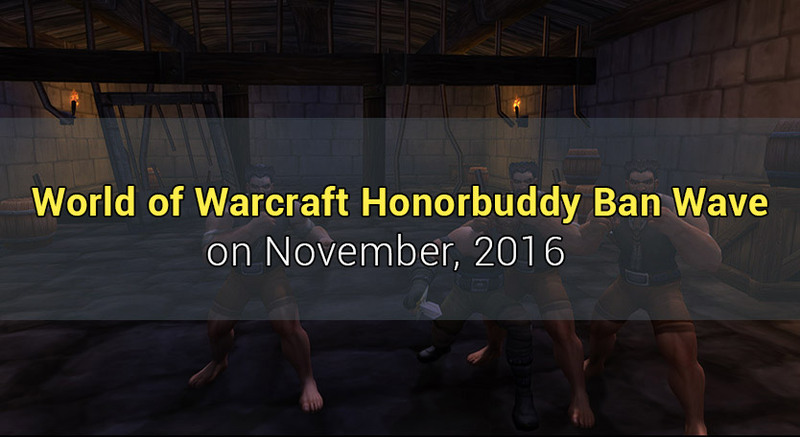 This is pretty much all we have so far on the Honorbuddy WoW ban wave on November 2016. If you have anything else to add, please let us know through our comment section. We’ll keep this post updated, so be sure to check it every now and then to see if anything changed! 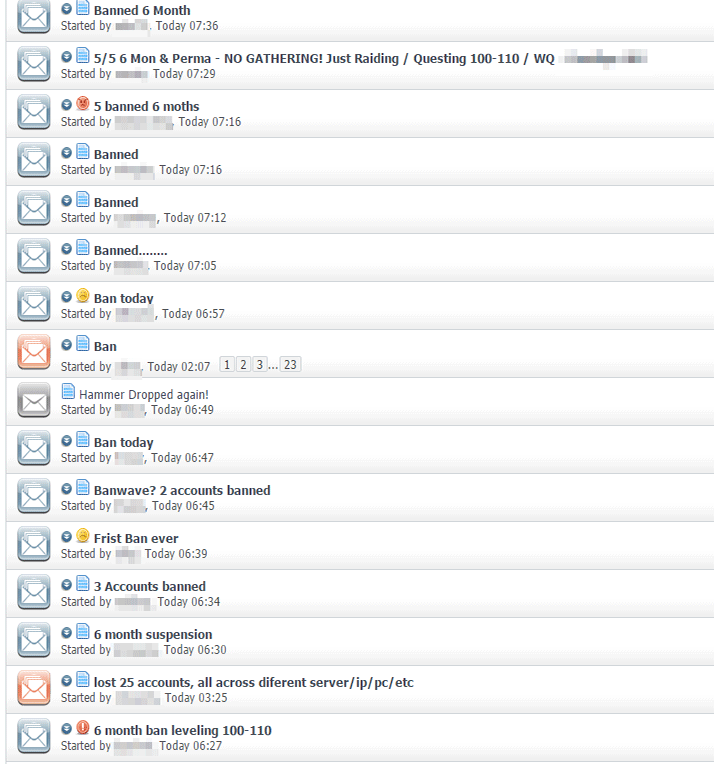 Is it possible for you guys to get me unbanned? The packages that you guys sell are for what? The rumor where you got banned by IP is false. They only banned you if you attached HonorBuddy to the Wow Client. I botted on one account with HonorBUddy attached to the client, while playing my main account. This banwave only suspended my bot account, not my main account. All banwaves work by finding an exploit in honorbuddies code to detect it once it attached to the game. Quite simply, those who got banned were not paying attention and accidentally attached the bot to their other account at one point in time when they were collecting data. That’s how it always used to be, and this probably might be just a different issue than simply IP, but according to the source, their significant other got suspended for merely sharing the IP, while the bot was ran on only one PC. Maybe it was flagged as the same owner, though. I’ve already appealed my ban. Is it to late to buy the package ?! It’s not too late, but you should cancel the ticket and not ticket them yourself until you decide whether or not to purchase our services. If they replied, contact us via our Contact form to take a look at the situation before you purchase.